Below you’ll find a quick overview of how CoolestTechEver.com views the current situation. Included is a fantastic audio of an ElectromagneticHealth.org interview with 4 credible experts in the topic. At the bottom of this page you’ll find the link to EHTrust.org’s Fine Print notice of safety warnings for most cell phones. It’s just natural for our bodies to resonate with our home planet’s natural frequencies that harmonize with brain waves, heartbeats, and the rhythms of our cells. Could the persistent and inescapable presence of unnatural frequencies from wireless, Blutooth, mobile and smart devices be emerging as a health disrupter? Historically, we’re notoriously slow to recognize environmental risks associated with products that give us things we really love like convenience, speed, efficiency and savings. It took decades of exposure before we discovered the destructive effects of plastic, DDT, second-hand smoke, asbestos, glyphosate, lead paint, and many other harmful products that were not properly tested before millions of people were exposed. Those health effects made millions of people sick. We’re not being warned properly about the safety precautions necessary to protect the body from exposure to the invisible waves of these new and exciting technologies. We give our kids helmets to ride bikes, require seat belts and car seats to protect us in motor vehicles, and now we need to take precautions as more evidence mounts that the invisible microwaves of mobile devices are damaging human brains and DNA. Canadian studies have shown that children living near electrical high power-line fields of 50-60 Hz are developing leukemia and brain cancer. Beware of the research paid for by the telecommunications industry–their lobby is well-funded to bury scientific research that hurts their products and has even been found to fund legitimate-sounding research that clouds the issues or confuses the public. The evidence that cell phones are causing infertility and brain cancer is being suppressed. Credible medical and scientific experts worldwide are warning that the long term use of mobile phones is associated with increased risk of brain cancer, a disease that has a very long latency time–20-40 years! Data analysis shows that in the U.S., in people age 20-29, there is an increase in brain cancer. Please learn why you need to protect yourself and your family. Here is a brief Tele-Class on Brain Cancer with statements from four leaders in environmental health research and medicine. This audio file was originally published by ElectroMagneticHealth.org. Protecting your blood from the EMF inflammation is associated with the use of personal protective devices like the Blushield products we offer here at CoolestTechEver.com. Subscribe here to get a 10% Off Coupon on a Blushield! 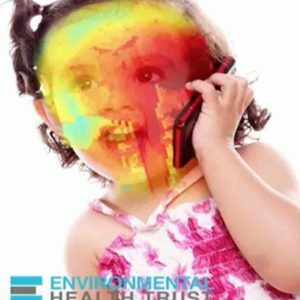 EHTrust.org is just one of the credible sources of information available from global environmental health experts that are warning government and industry that this technology is our next lead paint, asbestos, tobacco, DDT–all packed into one–because this technology is exposing everyone, everywhere. We can’t escape these waves unless we are deep in natural environments. That’s why the Blushield scalar wave transmitter technology is one of the most important precautions available to protect our health from the invisible microwaves of wireless devices.